All your payment data is located on the Subscription page. 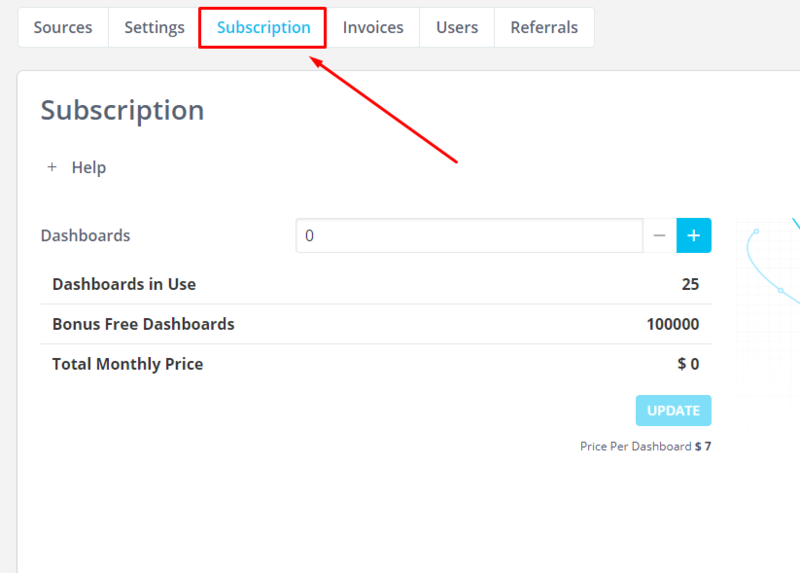 Click on Account Settings in the upper left corner in Reportz, and go to Subscription or Invoices tab. Here you can add dashboards by clicking on the + button.